Timbertech Cams, a complete box of Timberkits parts for individual design and experimentation. 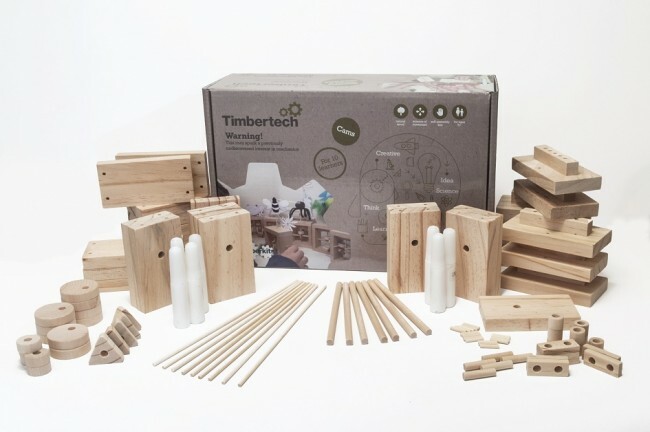 Contains components for 10 models with a choice of 3 different cam and wheel mechanisms for children to design and build their own object to bring to life. The box set could also form a great holiday, family or home school project and includes the worksheets linked below to help you get started. Wooden components shaped and drilled, sandpaper, PVA glue, Parts list, Wax candle to ease joints and comprehensive instructions.